'Driving Miss Daisy' runs through Nov. 2 at Cinnabar Theater, 3333 Petaluma Blvd. N., Petaluma. Friday–Saturday, 8pm; Sunday matinee, 2pm. $15–$25. 707.763.8920. 'Vanya & Sonia & Masha & Spike' runs through Nov. 16 at Main Stage West. 106 N. Main St., Sebastopol. Thursday–Saturday, 8pm; 5pm matinee on Sunday. $15–$25. (No shows Nov. 13–14) 707.823.0177. ALL IN THE FAMILY Main Stage West's "Vanya' boast a great cast. 'What would you rather see?" a colleague once asked. "A strong performance in a weak play? Or a weak performance in a great play?" Easy. The most brilliant script cannot survive performances that aren't up to snuff. But nothing beats a great performance. Which brings us to Alfred Uhry's Pulitzer-winning Driving Miss Daisy, a groundbreaking play staged so often it hardly feels groundbreaking anymore. But in a pristine production at Petaluma's Cinnabar Theater, some exceptionally good acting makes the show well worth seeing (or seeing again). Directed with thrift and polish by Nathan Cummings, Daisy is the tale of an elderly Southern matron (Laura Jorgensen, pitch-perfect) forced, after one too many car accidents, to hire an amiable chauffer (the splendid Dorian Lockett). Told in a series of vignettes spanning 25 years, the play (with solid support from John Browning as Miss Daisy's steady son Booly) sails on a slipstream of actorly assurance. 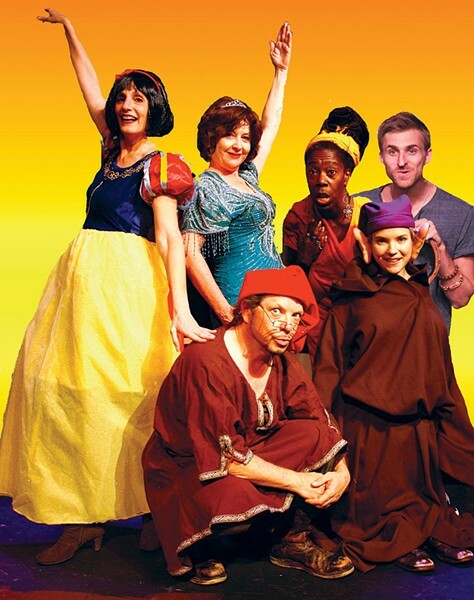 Christopher Durang's Vanya & Sonia & Masha & Spike, now playing at Main Stage West, won the Tony award for best play in 2013. Revolving around three middle-aged siblings whose Chekhov-loving parents have recently died, the appealingly offbeat comedy employs masterfully complex language, blended with sharp one-liners and crackpot characterizations. Vanya (a gently sad-sack Eric Thompson) is a cranky curmudgeon who lives with sister Sonia (marvelously played by Madeleine Ashe). Both are lonely and resentful after years of caring for their parents while sister Masha (Elly Lichenstein) pursues her career as a movie star. Housecleaner Cassandra (Naomi Sample, a joy to watch) claims to be clairvoyant, warning of coming changes at the hands of someone named Nina. After Masha arrives with dim actor boy-toy Spike in tow (Tyler Costin, hilarious), the prophesied Nina arrives (Ivy Rose Miller, practically glowing with star-struck innocence), a neighbor and longtime fan of Masha. Beautifully directed by Sheri Lee Miller, with as much attention paid to the characters' underlying emotions as to the comedic elements in Durang's loopy and literate script, this one proves that strong acting is a play's heart and soul.